Are you seeing the signs of a cockroach infestation? Cockroaches are anything but harmless. They breed very quickly and are most dangerous when they die in a ventilation system. Cockroach carapaces turn into a very fine dust and cause allergic reactions, especially in children. For every cockroach you see, it’s estimated that there are 800 you don’t. The sooner you call The Killers for the best cockroach removal in Salem, the better. 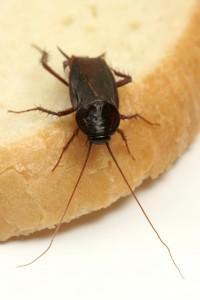 Cockroaches contaminate food and create a serious health risk. The longer you wait to act, the larger the problem will grow. Call us now for relief. Cockroaches are extremely resilient, which is why homeowners shouldn’t treat an infestation with over the counter products. Items like foggers might look impressive, but they don’t penetrate into roach hiding spots. Store-bought roach removal products treat at the surface level. These blanket solutions also rely on the expertise of the consumer. If you don’t know where the roaches are coming from, how can you treat them effectively? We use a combination of spray treatments, bait stations, and regular monitoring. 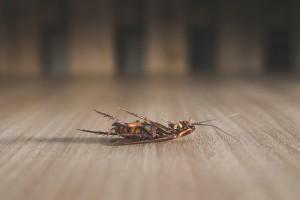 Not only do our technicians know where cockroaches typically hide, we can help you eliminate them long-term. There are specific conditions cockroaches like. They prefer a warm area with a ready food source. Removing these is key. Cockroach extermination always starts with an inspection. An inspection is crucial. It’s the backbone of our services. A cockroach inspection of your Salem property allows our technicians to identify nesting areas, track infestation expansion, reduction, and relocation, and determine where to apply treatments. Is your cockroach removal guaranteed? We guarantee our cockroach removal for an entire year. That’s because our exterminators know how to effectively eliminate cockroaches. Every cockroach extermination program is tailored to your home or business. There are no one-size fits all treatment option. That’s what makes professional treatments so critical. We have decades of experience eliminating these pests in Salem and the surrounding areas. Don’t hope your treatment plan is a success—guarantee it. Contact us for your free pest inspection. We offer a free initial inspection. This allows us to view the scope of the infestation as well as identify the pest and problem areas. Our inspectors are friendly and helpful, so we’ll point out potential problem areas and offer practical solutions whether or not you move forward with full service. Get more from your pest removal. Call or contact The Killers today. Gresham, Lincoln City, Newport OR, Portland, Beaverton, Vancouver WA, Wilsonville, and more!